Si Chen sighed heavily, "Did Rong Jialuo tell you that you cannot make any spark or explosion in the Dark Forest?" Gu Xijiu paused for a moment; she was wondering, "What will happen if I make it?" "Nothing serious. It's just that you will cause an avalanche if you shout in the snow mountain. The same applies in the Dark Forest. If you make an explosion, you will cause a crack in the ground and fall into the crevice." Gu Xijiu remained silent. Rong Jialuo did not tell her about this. 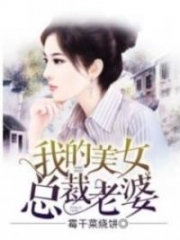 However, she believed that Rong Jialuo would not hide it from her either. It was most likely that he did not even know about this fact. She suddenly thought of something, and her heart sank! Before she entered the Dark Forest, Yun Qingluo gave her a few thunder spells but were taken away by Di Fuyi. She thought that Di Fuyi deliberately ditched her. Now, she felt lucky that Di Fuyi helped her to remove the spells away or else she would have used the spells to scare the countless of beasts away. It seemed like he was trying to protect her from Yun Qingluo. 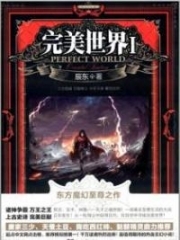 Did Yun Qingluo know about this fact of the Dark Forest? Was it with evil intentions that she gave her the thunder spell or it was just a mistake? Gu Xijiu frowned and had a profound thought. "Hey, little Xijiu. This is not the time for you to think about nonsense. You should start looking for the way out." Si Chen was sitting there and complained. Gu Xijiu casually replied, "I thought you said it is your bounden duty to protect a lady? It should be a man’s job to find the way out." Si Chen sighed, "Well, little girl, you have a point." When he wanted to stand up, his body was trembling, and he could not stand up straight. Gu Xijiu quickly caught him, "What is wrong?" When she caught him, she quietly tested his veins, and suddenly she was a bit guilty. It seemed like she did injure him severely. "My chest is pain…" Si Chen pretended to be strong, "But it doesn’t matter, I just need some rest." His tall body was half leaning on Gu Xijiu, and Gu Xijiu looked pet.i.te beside him. They were so close to each other that they could smell each other's breaths. Gu Xijiu put him beside a huge rock, "Alright, you rest first." Then she handed a pill to him, "You will recover faster if you eat this. After you rest, then we will find a way out." He sighed, "Little girl you are heartless! I thought you'd help me to walk." "Don't call me little girl. You are not much older than me." Finally, Gu Xijiu tried to correct him. Si Chen looked like he was only 17 or 18 years old. He had a handsome but childish face. Apparently, he was still a teenager but kept calling her a little girl. "What do you want me to call you as?" "Call my name will do." "It feels strange to call you by your full name." "Then you can call me Xijiu." Si Chen shook his head, "I don't want to be the same as others." Why was this guy so fussy? Gu Xijiu remained silent. She did not want to dispute with him on this matter, "Then you can call me whatever you like." 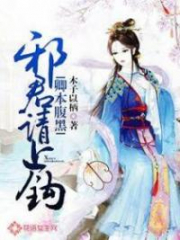 Gu Xijiu shook her head again, and finally, she could not stand it, "I have a nickname called Ah Sheng. You can call me this." "Ah, Sheng… Sheng Sheng... Baby Sheng…" Si Chen started to extend his ideas. Gu Xijiu felt like she wanted to kick him away! "You either call me as 'Ah Sheng' or address me by my real name. If you try to change my name again, I will kick you away!" Gu Xijiu threatened him fiercely. 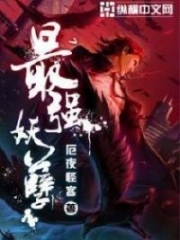 You're Read Venerated Venomous Consort Chapter 413 online at NovelOnlineFull.com. You can use the follow function to bookmark your favorite novel ( Only for registered users ). If you find any errors ( can't read,broken links, can't load photos, etc.. ), Please let us know so we can fix it as soon as possible. And when you start a conversation or debate about a certain topic with other people, please do not offend them just because you don't like their opinions. You're reading Venerated Venomous Consort. This manga has been translated by Updating. Author(s): Mu Danfeng, 穆丹枫. Already has 2569 views. Current Time is 23-Apr-2019 02:04:20 AM.